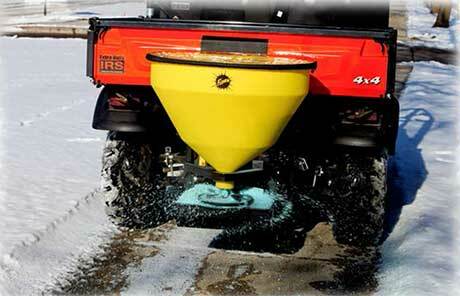 The FISHER® QUICK-CASTER™ 300W wireless electric tailgate spreader is the ultimate “plug ‘n’ play” spreader for ice control. The standard 2" receiver hitch and 7-pin connector make it easy to install on many vehicles without drilling or wiring, and the key fob control is completely wireless! 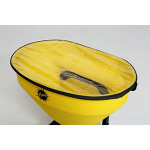 Available with mounts to fit a wide variety of vehicles, from pickup trucks and SUVs to utility vehicles and tractors. 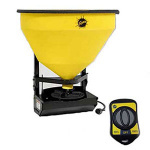 The 300W Tailgate Spreader is a wireless salt spreader that comes with a vertical high-flow auger for spreading bagged rock salt. Simply install the unit into a 2-inch reciever hitch and connect the 7-pin harness for plug-and-play operation. 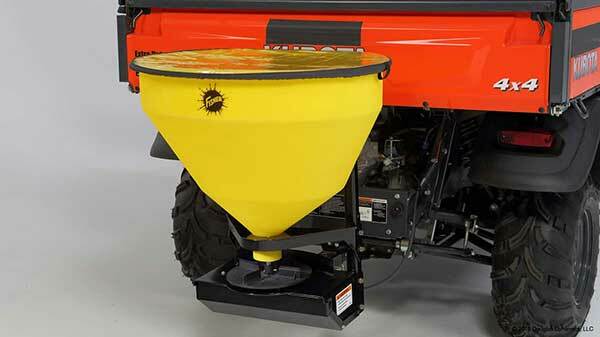 Then, control the spreader with a pocket-sized wireless remote. When power is next applied to the spreader, it will operate in Bypass mode and start at the 100% speed. Why have a Bypass Mode? 2" Light Duty Hitch Mount is used to mount the 300W to a vehicle's 2" receiver hitch.